The Sterling Modular line of Mixer Conversions is a complete line of furniture. Each one is designed for a specific Mixing Console. Built with the same ingenuity as our very popular Plan Series Audio Mastering Consoles, these Mixer Conversions Consoles are ideal for setting up your mixing station. This API 1608 Mixer Conversion is designed with your comfort in mind, as well as your workflow. 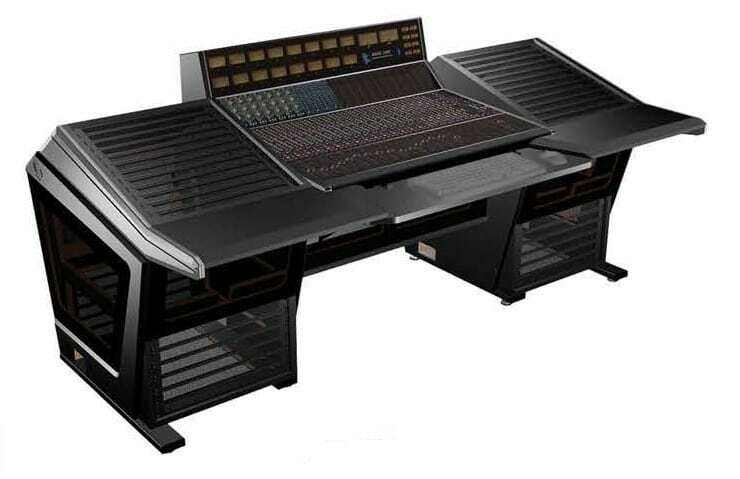 It has a recessed top shelf so that the QWERTY keyboard is at the same height as the leading edge of the mixing Console. The mixing engineer doesn’t have to raise his/her hands to go from the keyboard to the mixer and back. It has the most rack space in the industry at 48ru.